Earlier today, Netflix announced Spinnaker, an open source, multi-cloud continuous delivery platform for releasing software changes with high velocity and confidence. Continuous delivery (CD) integrates software build, test and release processes, helping organizations to move quickly in response to market needs and customer demands. Spinnaker enables you to define your own CD workflows by linking together a series of steps into pipelines that can be triggered manually or automatically, for example, based on specific events such as the completion of a pipeline or a Jenkins job. Pipelines can be reused across workflows. We are pleased to announce that you can now use Spinnaker to manage your CD workflows on Google Cloud Platform. 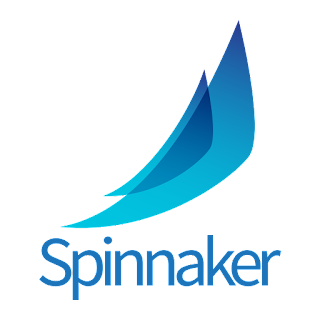 To get started quickly, you can deploy Spinnaker using Google Cloud Launcher, or follow the instructions at spinnaker.io to install and run Spinnaker. A late 2013 study by Computer Associates1 indicates that CD yields an average 21% increase in new features delivered, a 22% improvement in product quality, a 19% increase in revenue and 50% fewer failures. Today, about 50% of organizations have implemented CD for some or all of their projects, according to a DZone 2015 survey.2 With these kinds of benefits, it’s only a matter of time before CD becomes the norm. To learn more, check out our tutorial on managing deployments on Google Cloud Platform with Spinnaker, ask a question on Stack Overflow, or chat with us on the Spinnaker Slack channel. In the coming months, we plan to add support for containers, and to support CD on Kubernetes and Google Container Engine. If you’re new to Google Cloud Platform, redeem free credit to try out Spinnaker on Google Cloud Platform. 1 CA Technologies, “DevOps Driving 20 Percent Faster Time-to-Market for New Services, Global IT Study Reveals,” 9/12/13, survey of 1,300 senior IT decision-makers worldwide. 2 DZone 2015 Continuous Delivery Survey.